How exciting!? So as a major newbie to blogging, I didn't think I would get the chance to blog a show or event for a really long time. I don't know why, I guess I just thought because I am inexperienced or the fact I dunno what I'm talking about. HOWEVER I do love fashion and vintage and shows and being pure glamorous so I guess I have something to work with. I managed to get in contact with a lovely girl called Lauren who runs the event. 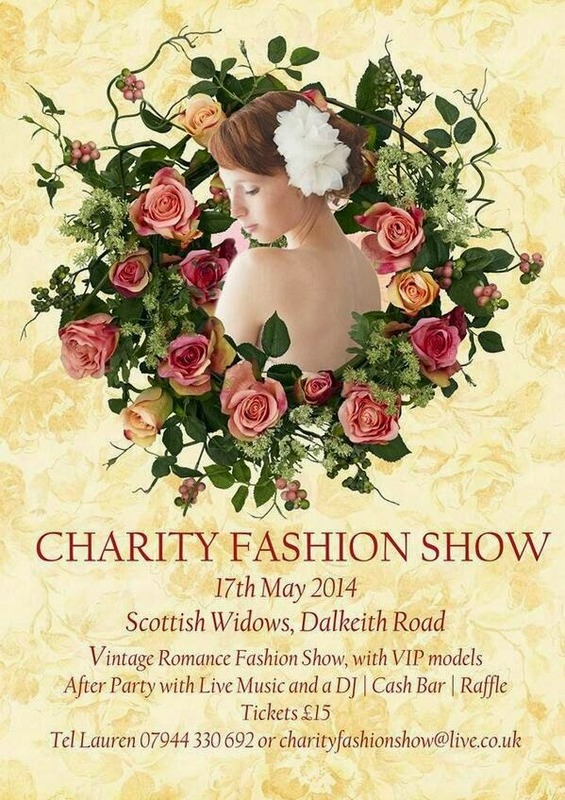 Its a charity vintage fashion show in Edinburgh. It's all to raise funds for Cancer Research UK, so an amazing cause. In the past she has raised £42,000. Unreal I know. It was the first time they have invited bloggers along to the event which is amazing. There is going to be so many gorgeous/glamorous people so I am very excited. Who doesn't want to be surrounded by that. I am super excited to see what clothes they are modelling and especially to see what the guests have on. Any excuse us girls and guys can get to dress up we love it. I shall have my camera (jobbies camera) on hand and will be snapping away at some of the nice things that I feel my eyes like. I have NAE idea what I am wearing yet. Which is bad cause I probs should but... I do have a 1940's dress I wore to a recent party. That's a pretty good contender to be honest! I am going with my gorgeous H&M colleague/friend/event blogger too. I mentioned her in one of my first blog posts and we have hit it off straight away. I love how in blogging every ones pals. I love meeting new pals. PALS = gid. Her blog is http://sultanamalik.wordpress.com/. The show is a week today.. excited is an understatement. Such a good cause and a chance to meet some lovely new people. There is still a few tickets left so if you wanna have a fun night out (theres a bar = DRANK) then email me and I shall see whats available. Tickets are £15. Keep an eye on my follow up blog regarding the event in the next week or so!